A spread for crusty bread made from olive, herbs and onions. 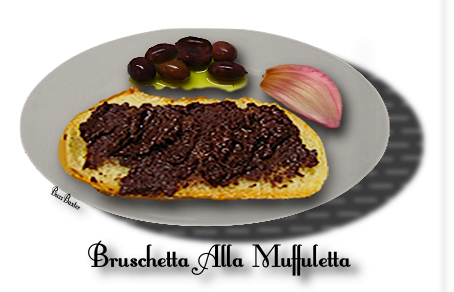 A grilled slice of crusty bread, slathered with a tapenade of Italian, Greek olives and herbs. I don't know if it gets any better than this. 1. Combine first 10 ingredients in processor and chop coarsely. 2. With processor running, gradually add oil. 3. Transfer mixture to medium bowl. Season to taste with salt and pepper. 4. Season generously with pepper. 5. Top with muffuletta spread and serve.